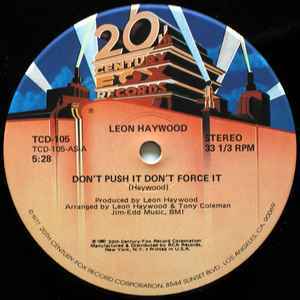 Leon Haywood at his best on "Don't Push It, Don't Force It".A great groove any time! This song is listed everywhere as copyright 1980, but on the 12" label it clearly says 1977. What gives?